Today at Apple’s keynote, the company introduced a new program available in Apple Store in the U.S. 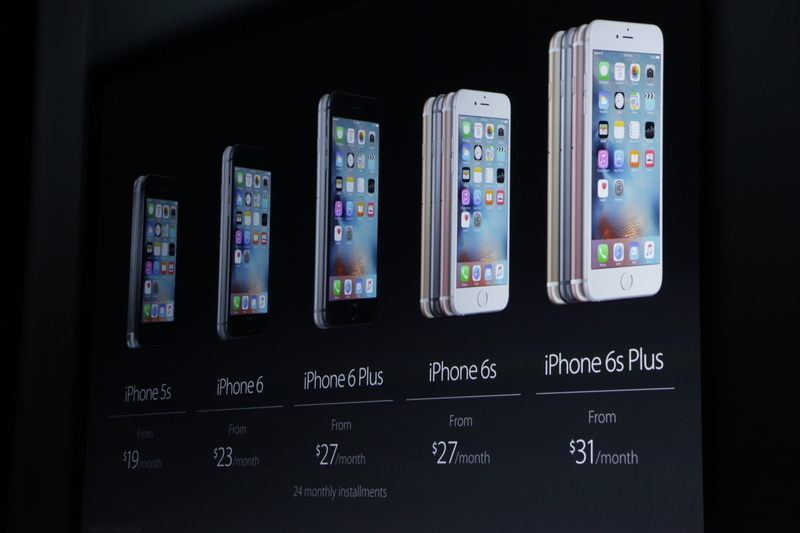 The iPhone Upgrade Program is a 24-month payment plan with an option to upgrade for a new iPhone every year. It starts at $32 per month and includes AppleCare+. These phones are unlocked, so you can use them with any carrier. Apple had to change its pricing a bit as carriers are switching to payment plans. For instance, Verizon recently killed off subsidies and contracts. So for example, a 16GB iPhone 6s now costs $27 per month over 24 months. A 16GB iPhone 6s Plus costs $31 per month. It looks like the iPhone Upgrade Program is a bit more expensive as $32 per month is probably the price for a 16GB iPhone 6s. As a reminder, AppleCare+ costs $79, or a little bit more than $3 per month over 24 months. This is a neat strategy for Apple as the new carrier payment plans are very compelling. You don’t need to make any downpayment and you don’t pay any interest. Apple didn’t have an alternative. With this new program, Apple could lure away customers and directly sell iPhones. It’s better for the company’s margins as carriers or third-party retail stores don’t take a cut. Here’s a bit of math on the 16GB iPhone 6s model. $32.41 x 24 months = $777.84. The same unlocked device costs $649 on Apple’s website. Then you add $129 for the AppleCare+ program. If you get a new iPhone every year, you essentially get two AppleCare+ subscriptions, making the iPhone Upgrade Program a wash at $778 with the added warranty coverage. So is it worth it? If you’re going to get an iPhone every year and were already an AppleCare+ customer, it looks like it’s worth it.